Learn about techniques, tools, and methods that can improve patient outcomes, as well as prevent costly medical errors and hospital-associated infections. **This program has been approved by the American Association of Critical-Care Nurses (AACN) for 1.00 Synergy CERPs Category A, File Number 22337. Hemodynamic monitoring can be challenging, even for experienced nurses. This course establishes foundational knowledge related to the anatomy, physiology, and clinical care of patients on hemodynamic monitoring. **CERP credits are no longer available for this program. Terry M. Foster holds Master’s Degree in Critical-Care and Trauma Nursing from the University of Cincinnati College of Nursing and Health, having previously earned his LPN and RN. 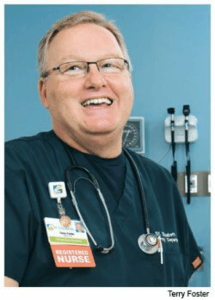 His primary areas of nursing experience have always been in the Emergency Department and Critical-Care Units where he has national certifications in critical-care nursing, emergency nursing, pediatric emergency nursing, and trauma nursing. Terry has authored more than 40 professional publications in various textbooks, nursing, and healthcare journals. He has lectured on a wide variety of clinical topics at nursing seminars and conferences throughout the USA, having given a total of over 5,000 formal presentations. 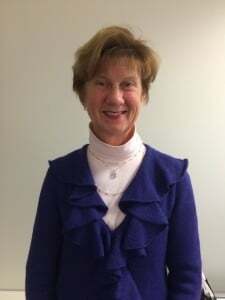 Terry is currently the Critical-Care Clinical Nurse Specialist in the six Emergency Departments at St. Elizabeth Healthcare in Edgewood, Kentucky and the Ambassador for the St. Elizabeth Foundation.